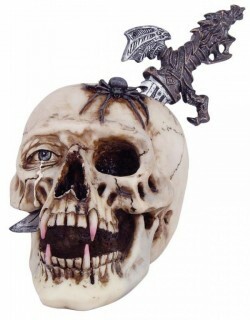 Weighty Skull ornament with excellent detail and colour. Cast resin Dagger can be removed. Just one of our huge skull collection.